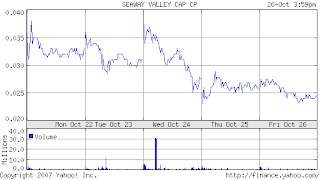 PickleStocks.com: The Insider's Guide To Penny Stocks: Seaway Valley Capital Corp (SWVC.OB): Is it time to buy? Keep covering this stock! It's worth the blogspace and should appeal to many investors.